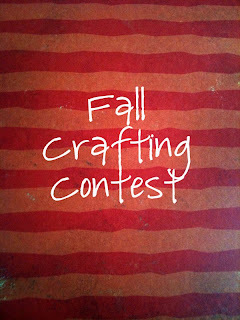 We are so pleased to announce our Fall Crafting Contest. The Supply Kit's are available here. Deadline for ording the kits are August 31. However, the kits are limited, so they will likely run out before then. So order early! Deadline for photos of your submission is September 20. If you'd like to test your scrapbooking, stamping, paper crafting skills, this is the challenge to do it. 1.) The winner will have their photo of their submission and link to their etsy shop promoted throughout our site. The winner will also be featured on our facebook fan page and on a post in our blog. 2.) $15.00 CASH deposited to their PayPal account. All contest entries will have their entry photos displayed in a contest photo album on our facebook page. You will need to use a minimum of ONE of the shimmery cardstocks and the favor box. Everything else is extra and you may chose to use them or use your own supplies. You may make your trinket box to be fall themesd, halloween themed, as a party favor, to hold a spooky gift, or anything else you can dream up. Provided in your kit will be a copy of the instructions to submit photos of your submission. I will accept votes via facebook and through the Etsy Community but ultimately I'll make the final decision using factors such as, final photo quality, originality, and overall design appearance.